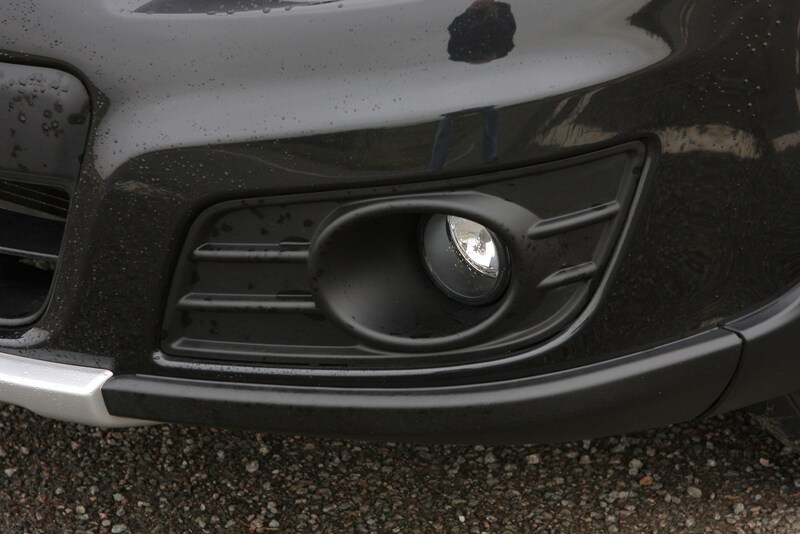 Insurance group: 11 - 20 How much is it to insure? 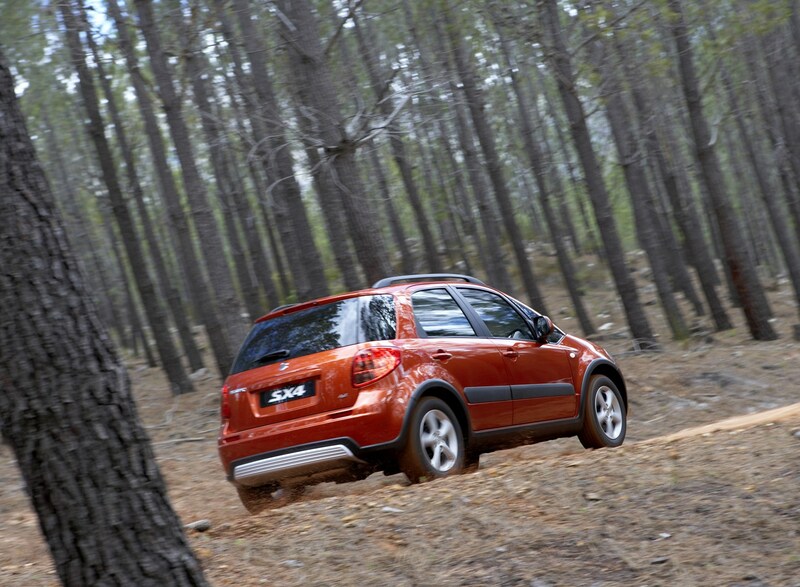 SUV Crossovers have taken over the world, providing the status of a traditional off-roader with the comforts and ease of a family hatchback. 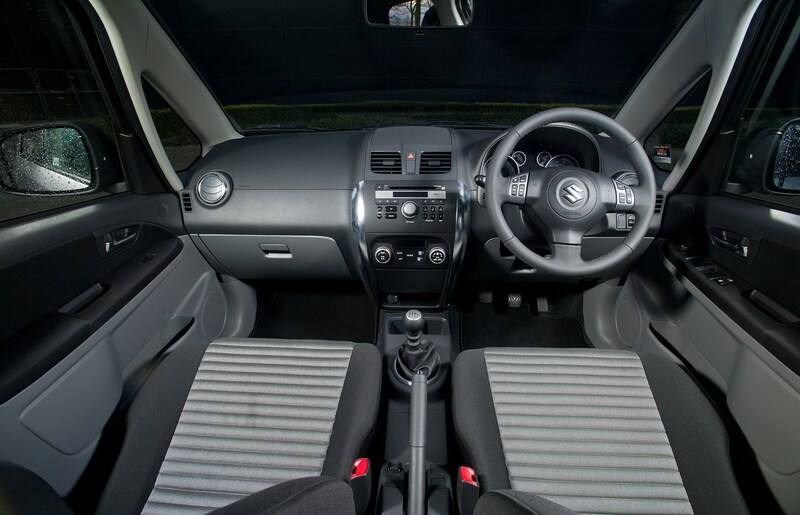 Recent years have been dominated by new models and refreshed lines across all manufacturers, the most telling of which is Volkswagen's decision to replace the sporty Scirocco with the, er, sporty T-Roc – even keen drivers seem to want to sit higher and aspire to unpaved, rather than open roads these days. 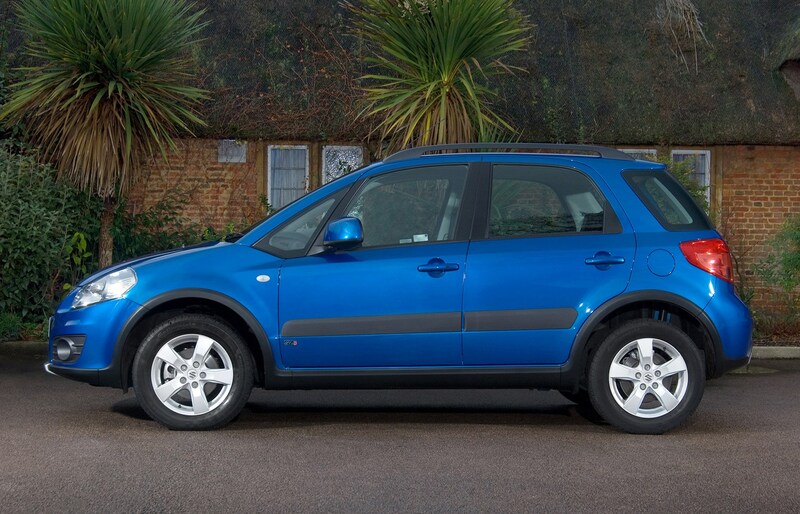 Which is all great if you're in the market for a new car. 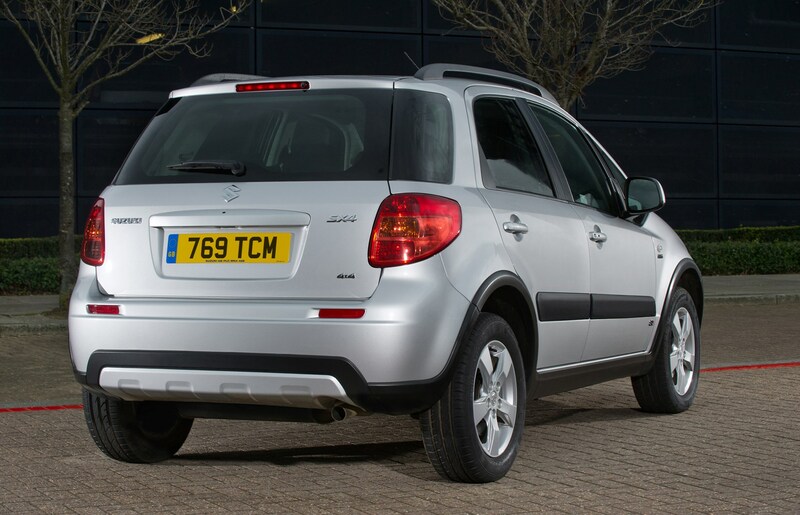 It's going to be a while before the T-Roc, Arona, Eclipse Cross and Kona are used-car bargains. 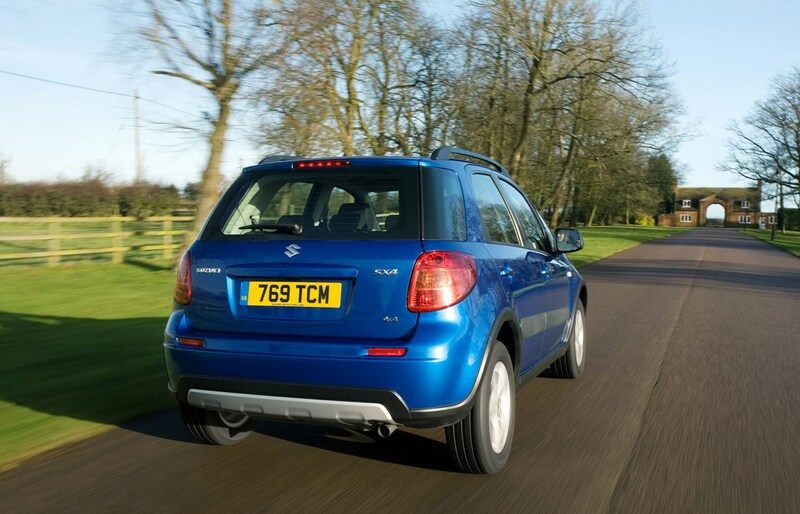 Off-road pioneers Suzuki have got your back, though. 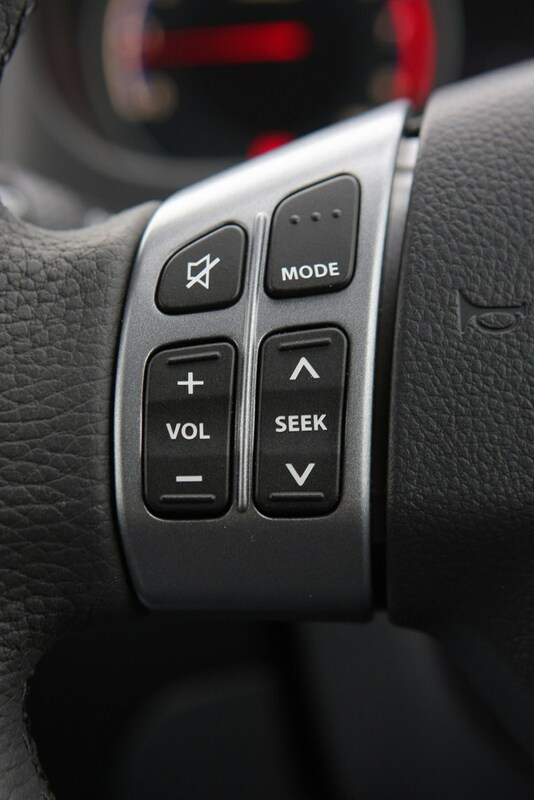 The same company that was brave enough to create the X90 sensed where the wind was blowing, and crossed over well before the mainstream. 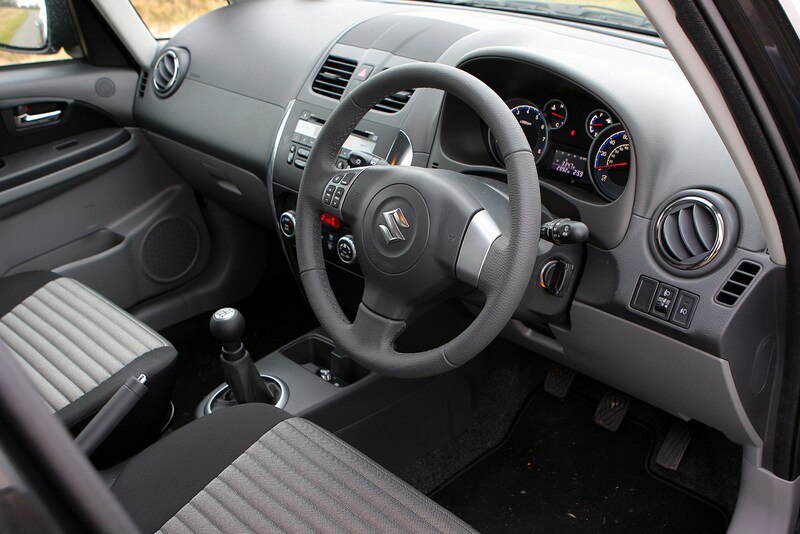 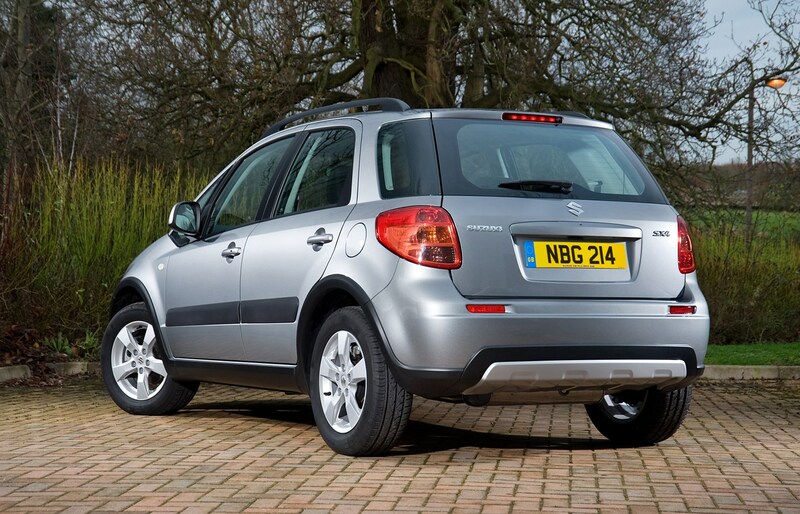 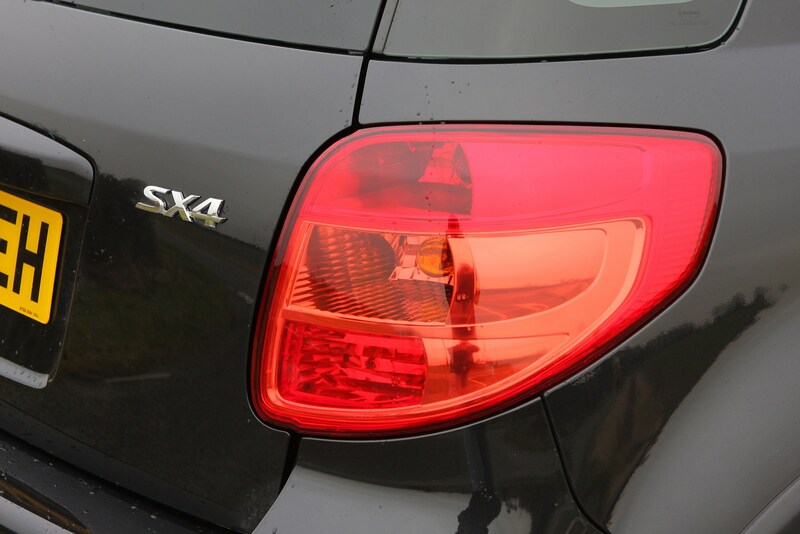 The Suzuki SX4 is a small crossover that predates the popular use of the term. 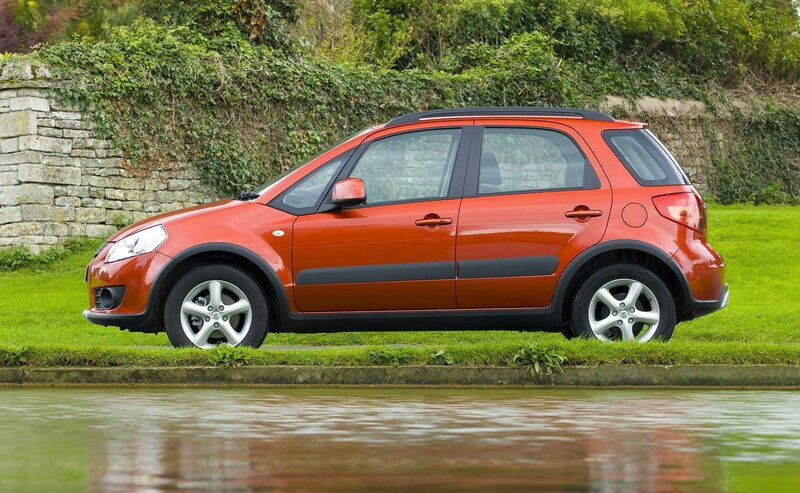 Launched in 2006, it took the place of the Liana in showrooms; several years later we're watching tall SUV-esque cars taking the place of saloons and hatchbacks in carparks, too. 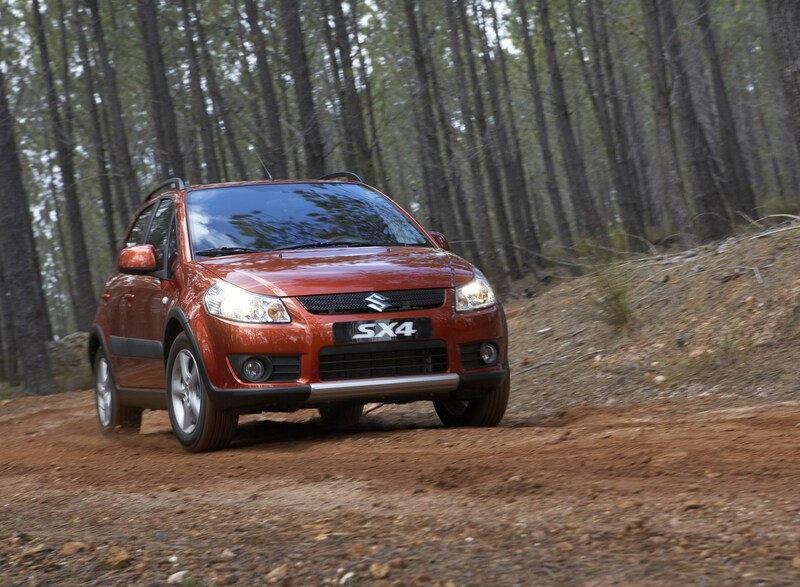 Unlike its previous small 4x4s, which were based on a separate chassis and very focused on off-road ability over comfort, the SX4 kept the ride height and visibility of cars like the Grand Vitara, but used mostly conventional hatchback components underneath. 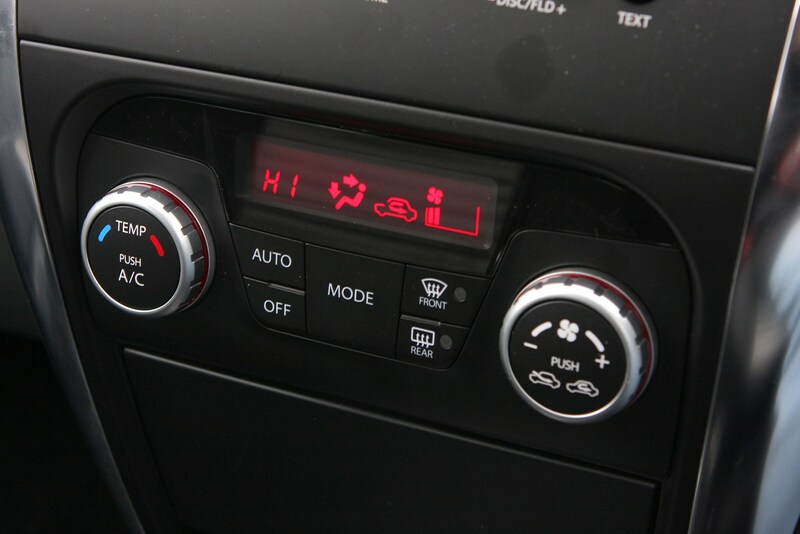 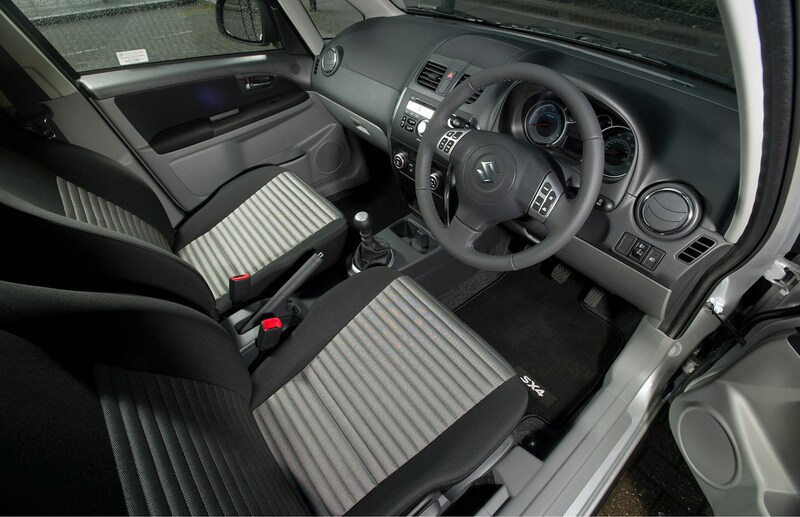 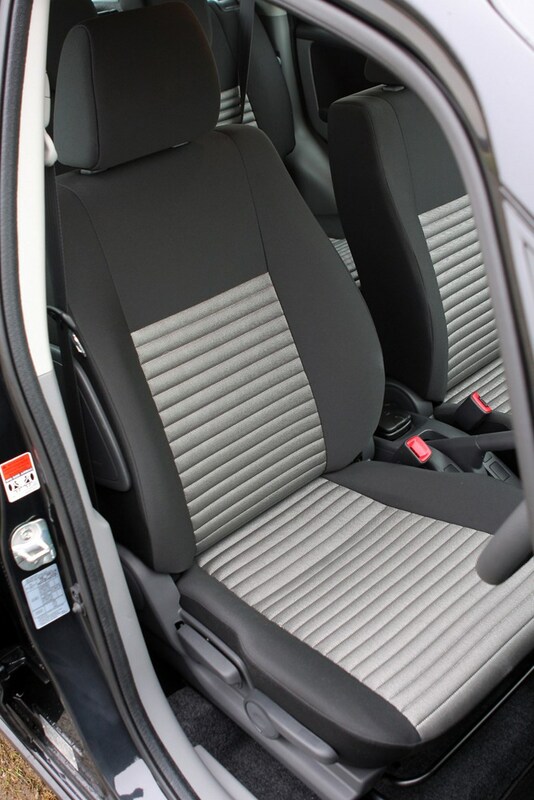 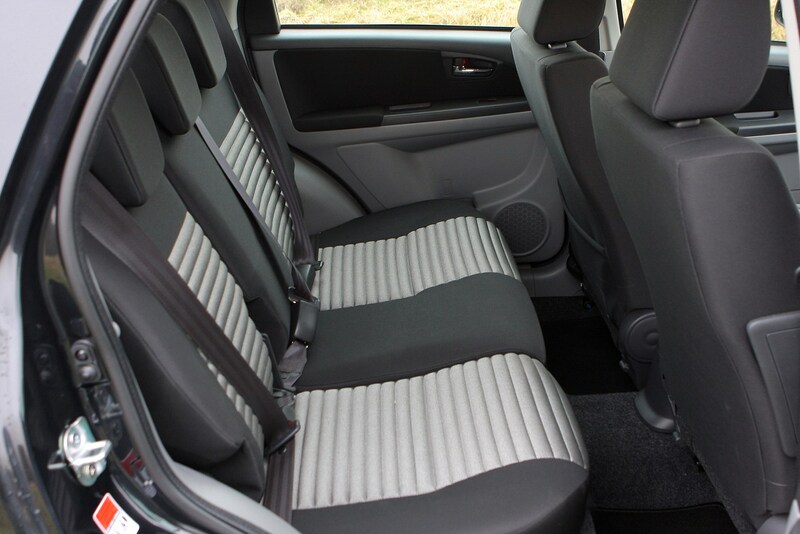 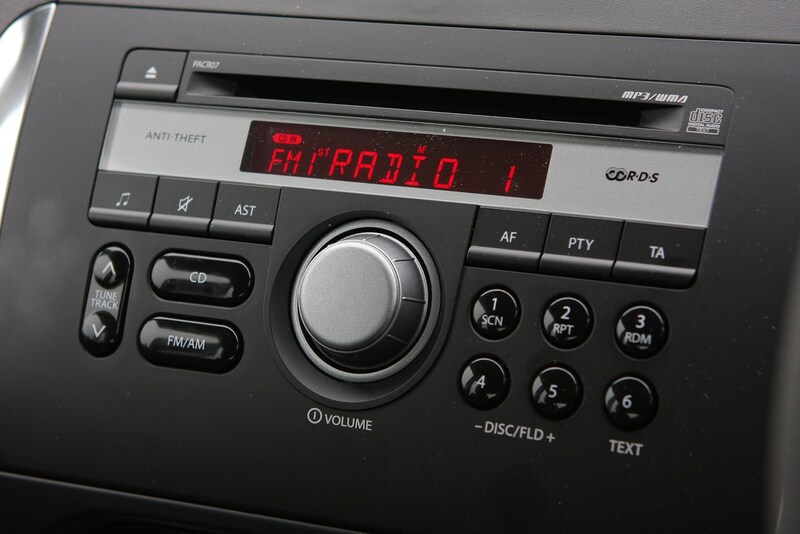 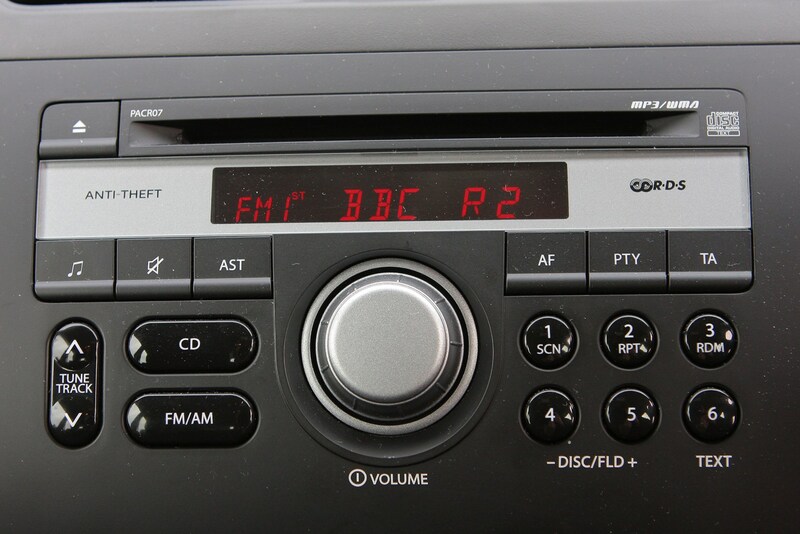 Developed in partnership with Fiat (their version was sold as the Sedici), the interior is more European in feel too. 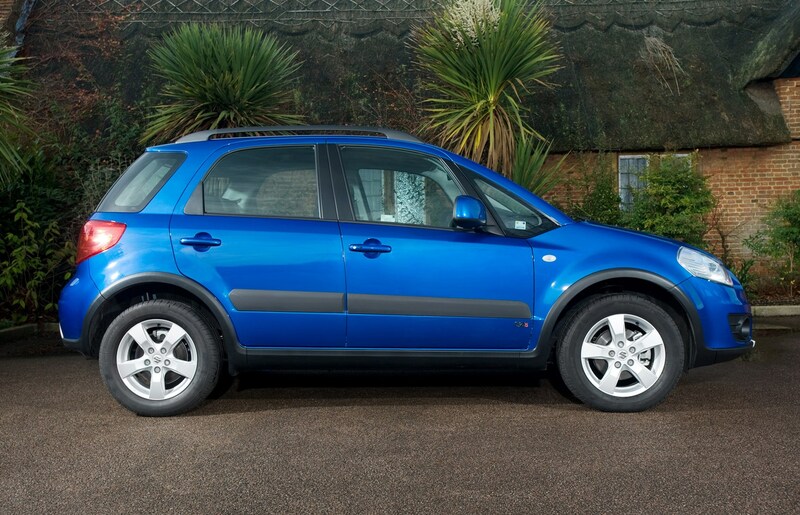 There's also a small saloon version, though that is rather rare and front wheel drive only. 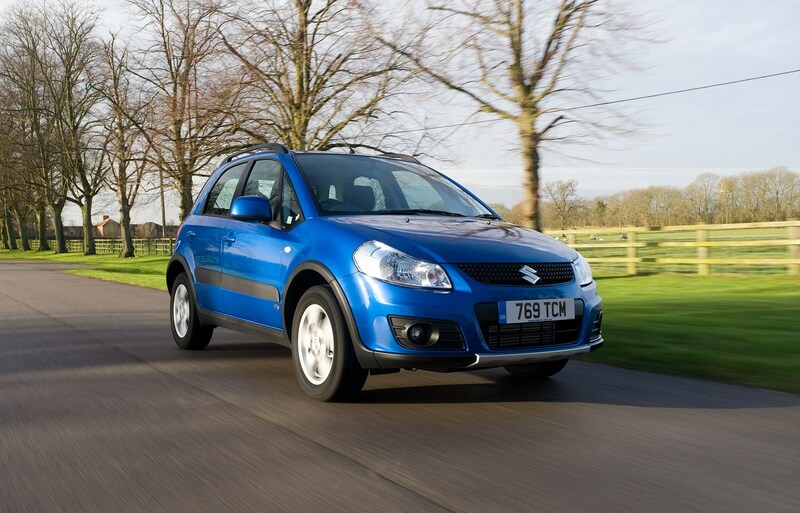 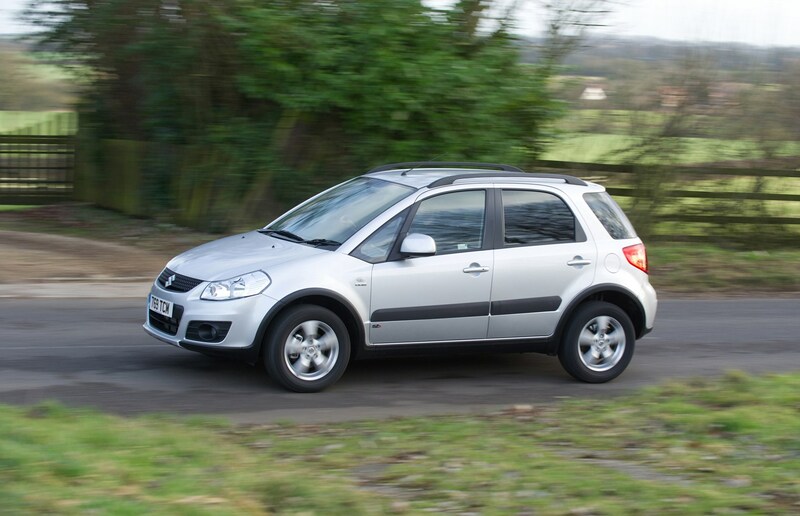 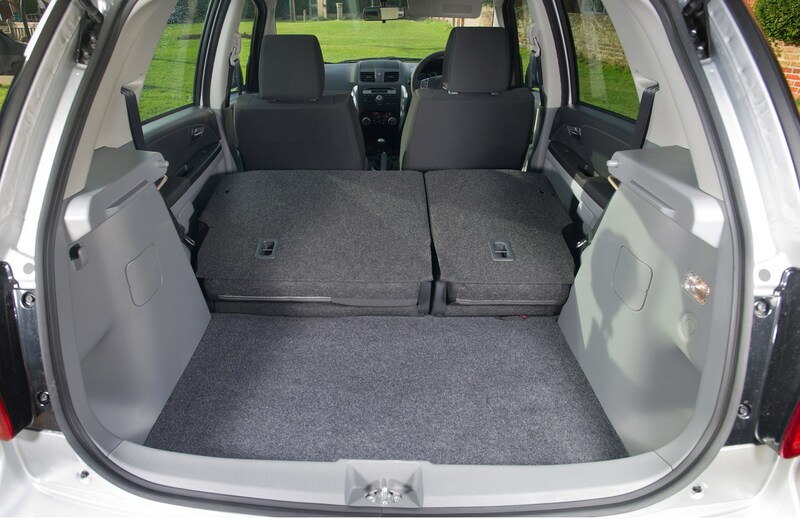 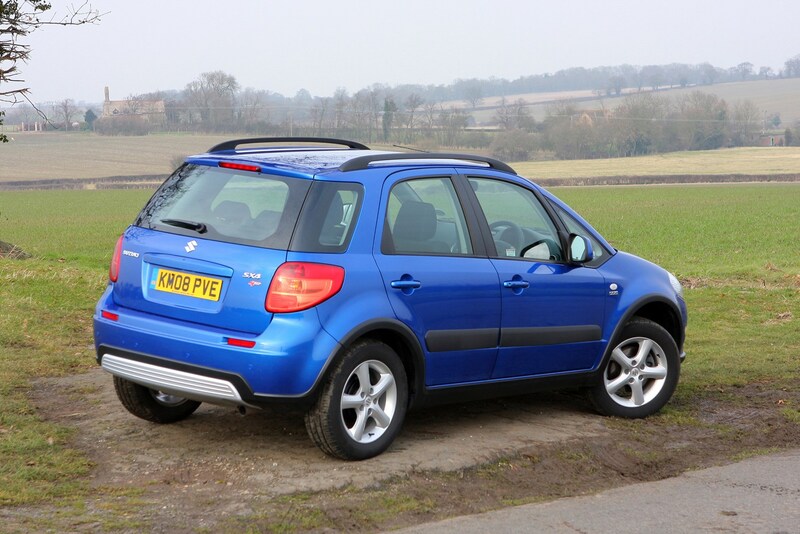 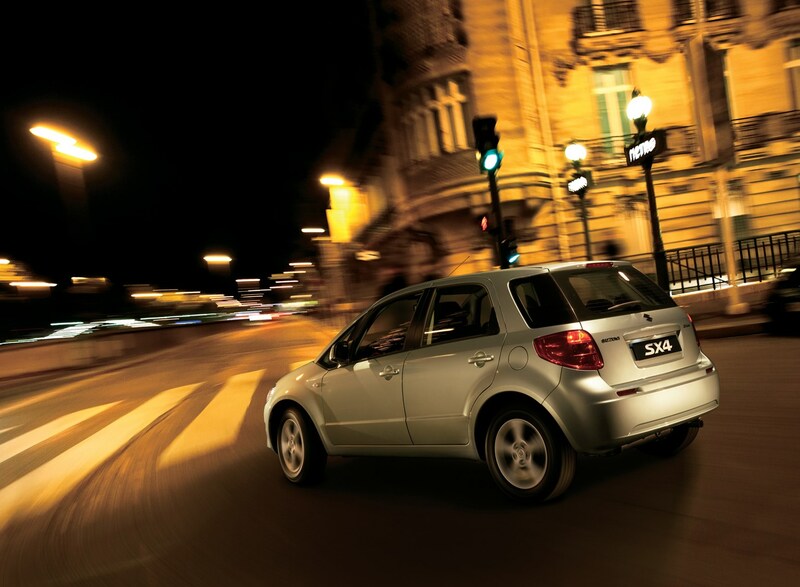 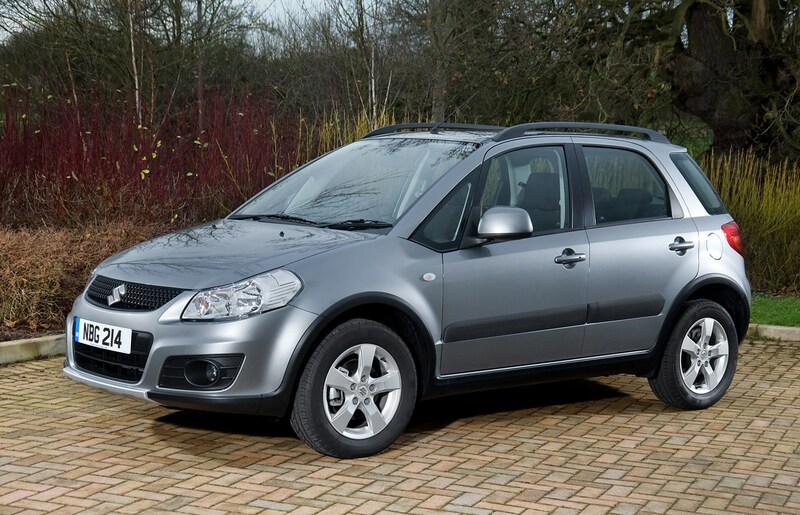 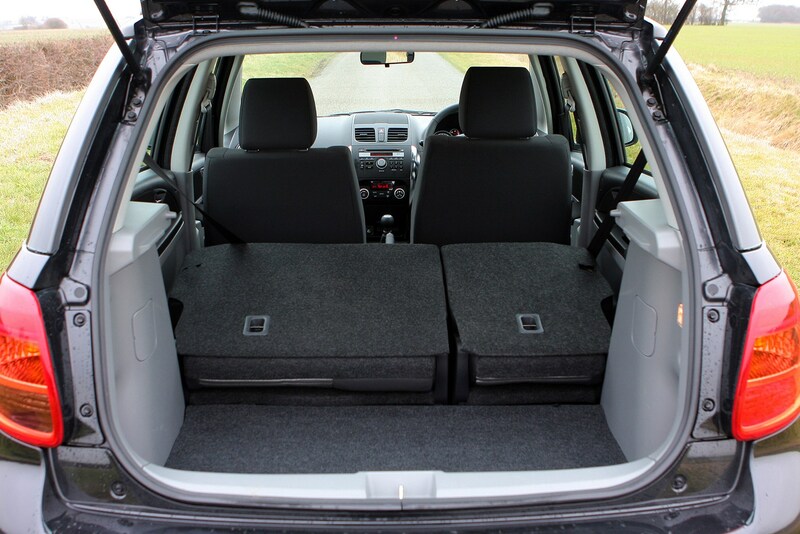 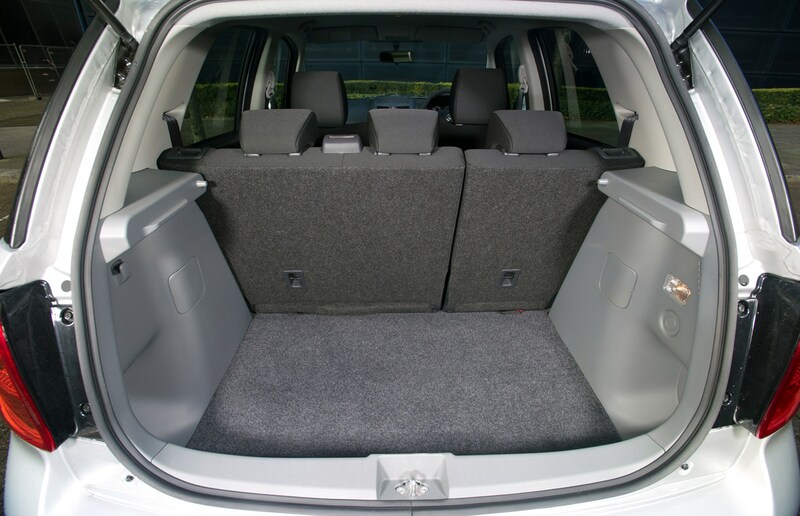 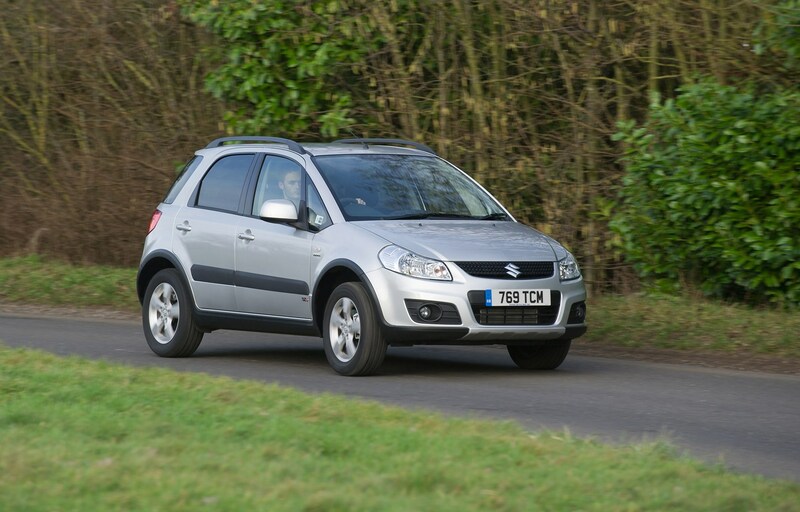 Why choose the Suzuki SX4 over a hatch? 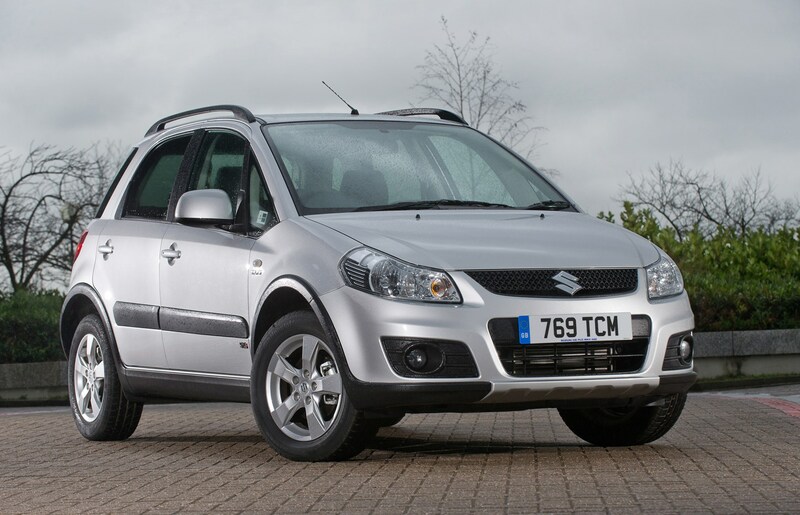 You could ask the same question of all those buyers taking on Aronas over Ibizas, GLAs over A-Classes and so forth, and the answer is probably going to be the same. 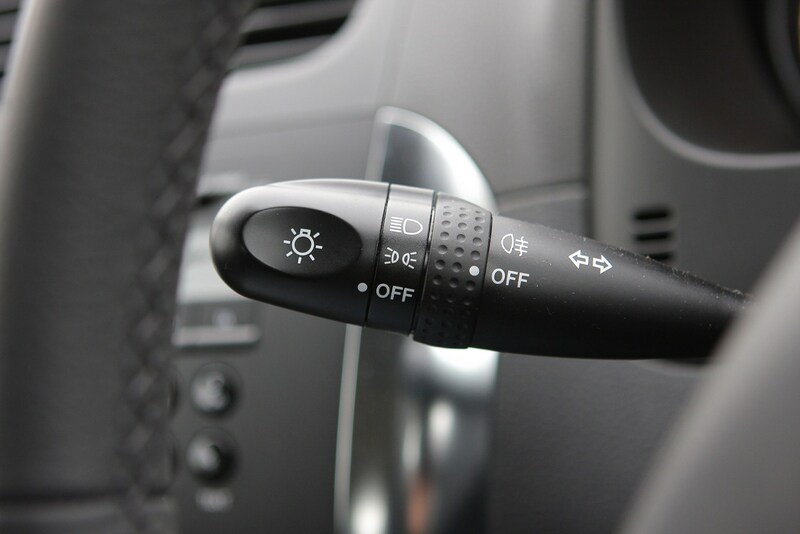 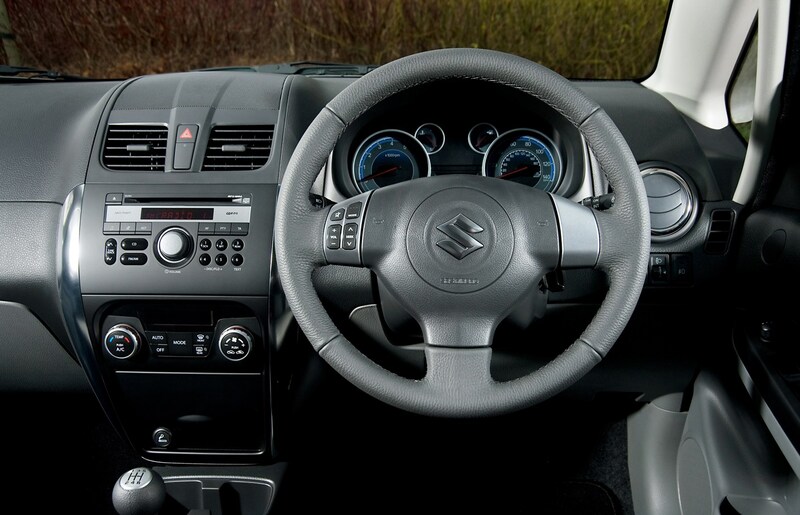 An authoritative driving position that at the very least, puts you on a level with current cars instead of sitting below their drivers' eyeline. 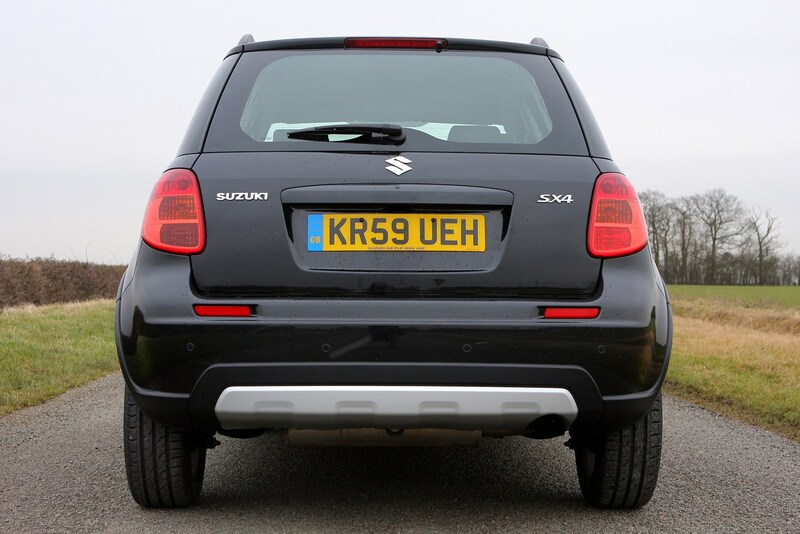 It has a softer ride than many sporty hatchbacks, with better comfort on pothole-infested roads, and there's the implied status of a 4x4 to consider as well. 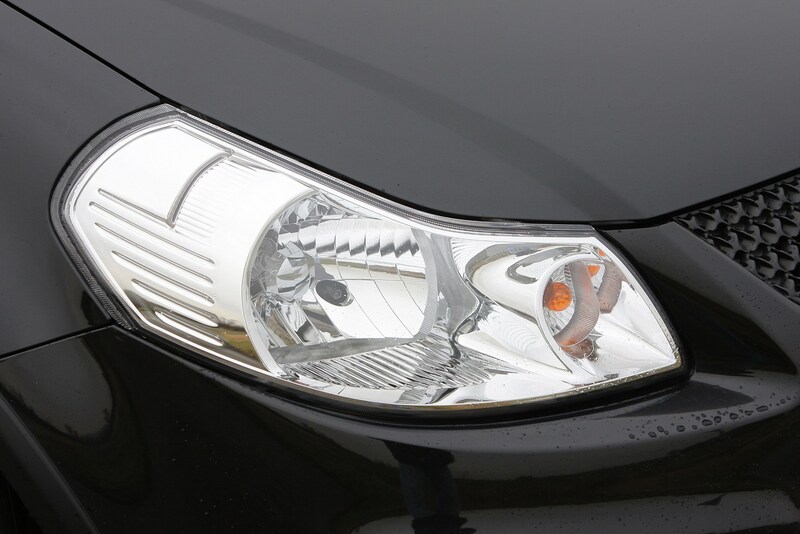 If style and exclusivity is important, the rarer Fiat Sedici stands out with plastic body cladding. 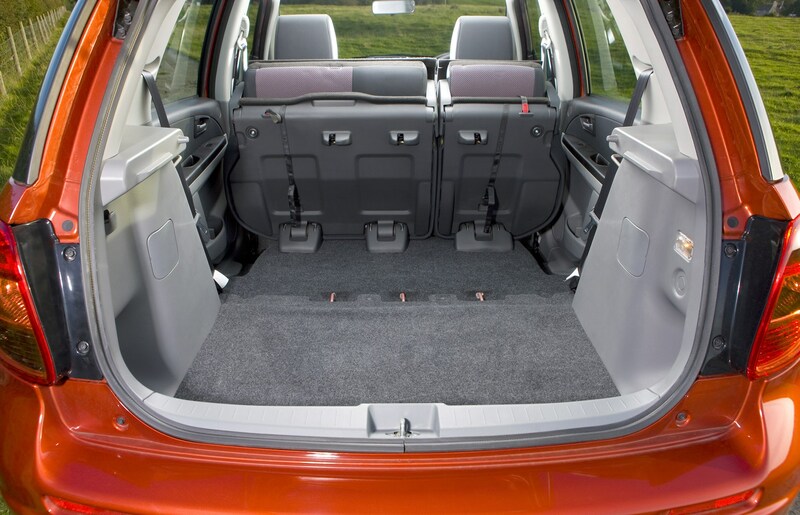 Many drivers feel safer in a taller car, too. 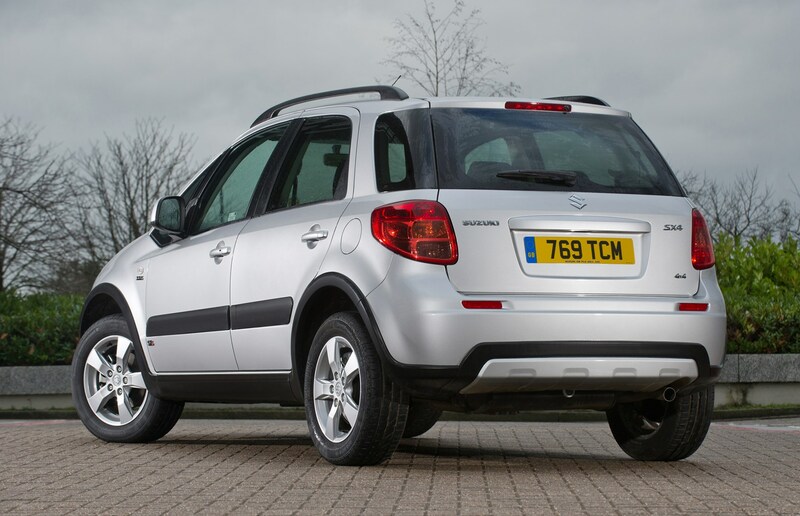 The SX4's EuroNCAP performance is merely average, with four stars for the 2006 version, but it's good for the price and type of car and the improved visibility and security of all-wheel drive in tricky conditions helps to avoid the need for crash protection in the first place. 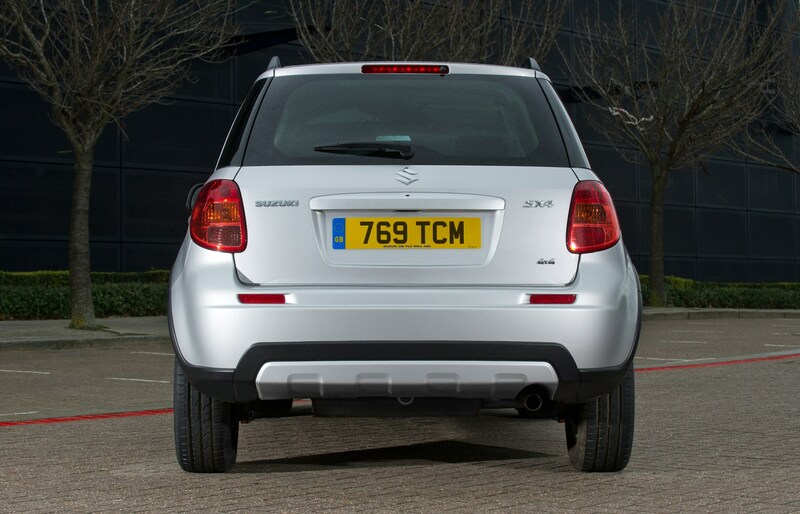 Is the Suzuki SX4 really that advanced? 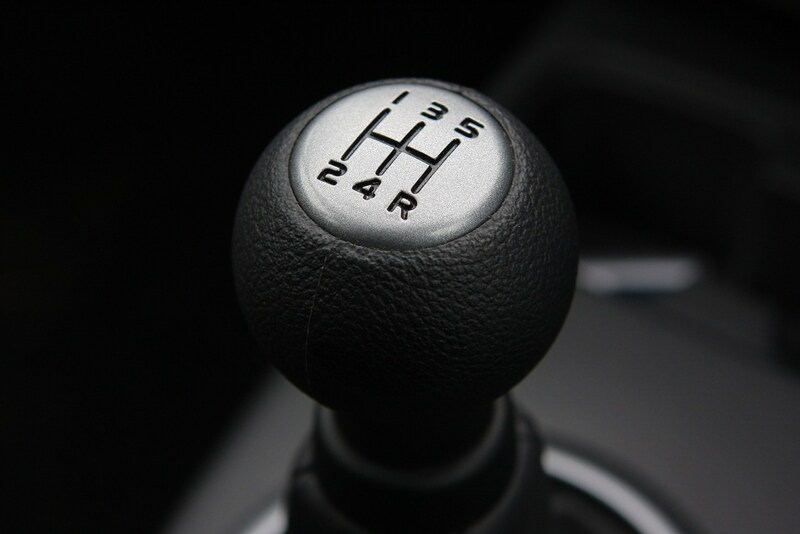 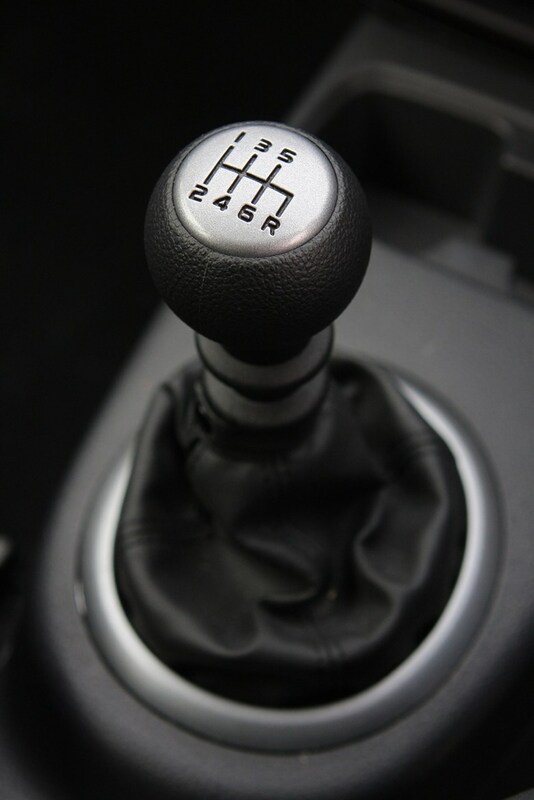 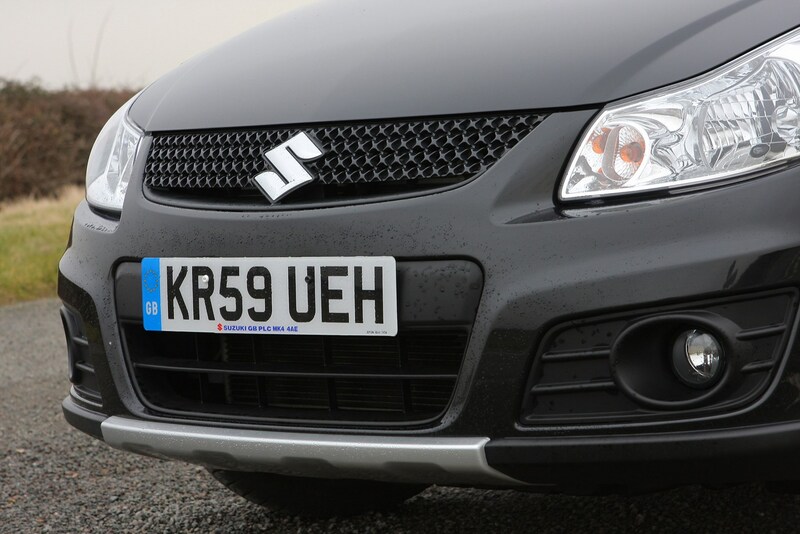 Technically, no – it's made of a cross over (sorry) of parts from Suzuki and Fiat's car ranges, all proven technology. 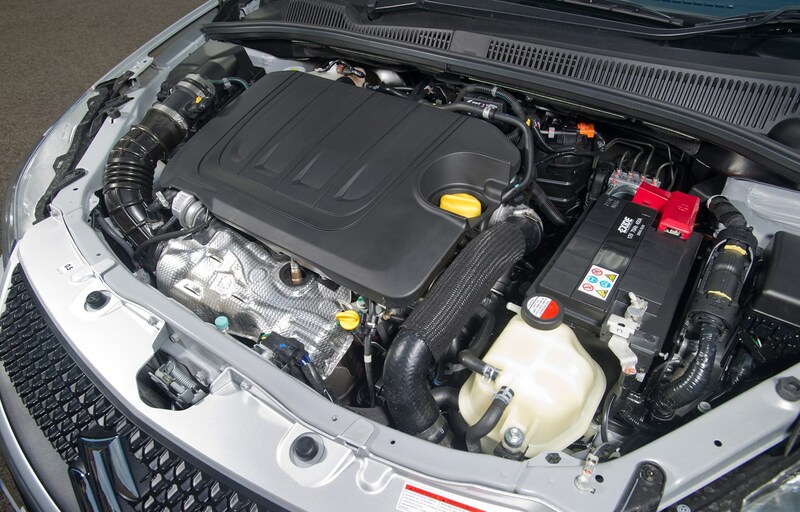 Diesel 4x4 models are equipped with either 1.9 (120hp) to 2.0-litre (135hp) Fiat MultiJet, while front-wheel drive examples can also have Ford/PSA 1.6-litre engines. 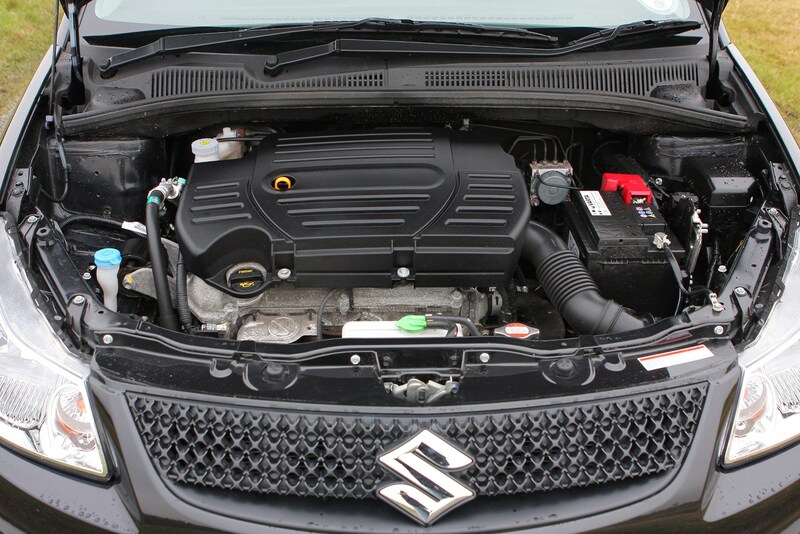 Petrol versions in two- and four-wheel drive form (4Grip) got a 108hp 1.6-litre four cylinder from Suzuki - later versions of this are more sophisticated and refined. 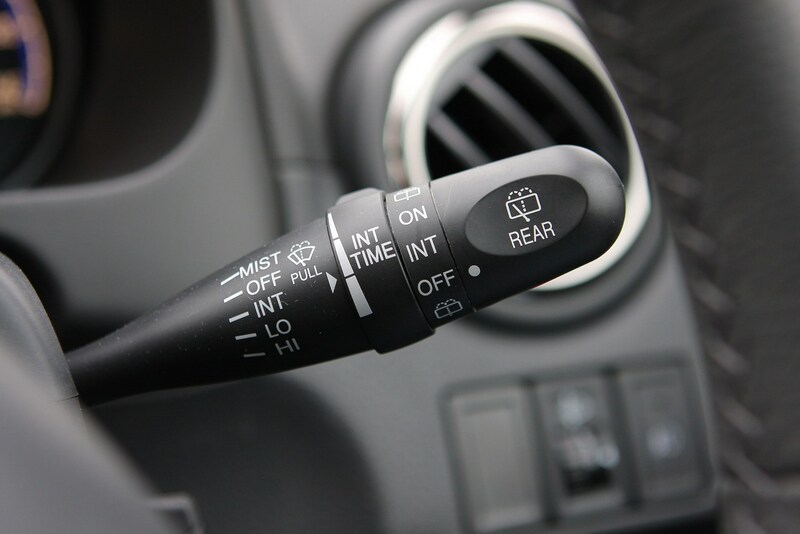 In concept, though, it's a decade ahead of its time. 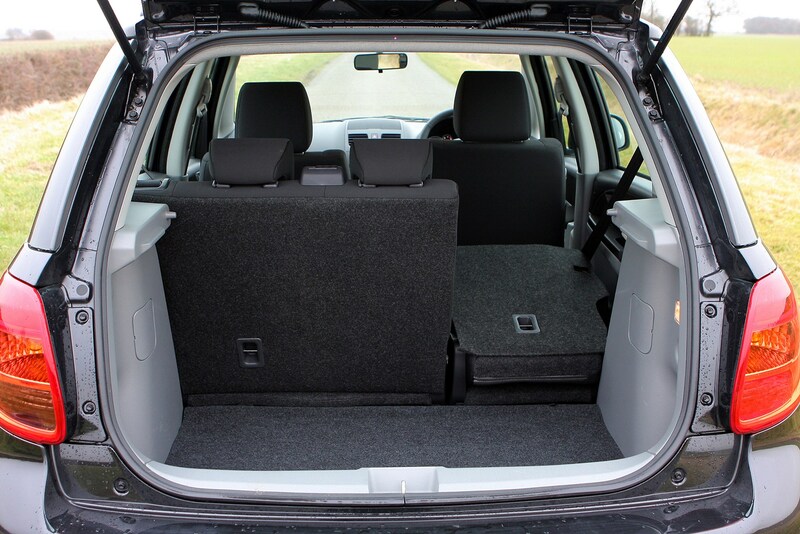 Most models are front-wheel drive, despite the 4x4 looks, and it handles and rides like a sporty hatchback with sharp turn-in and a city-friendly size that is easy to park, seats four adults in comfort and has plenty of room for shopping. 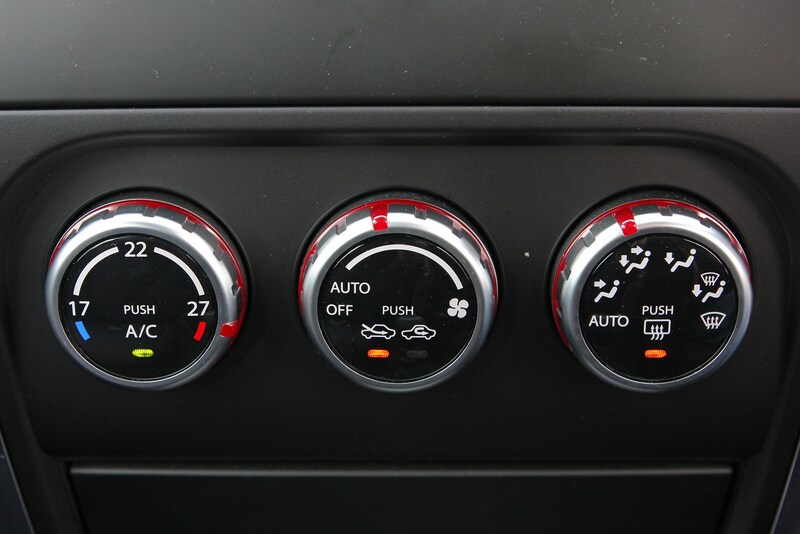 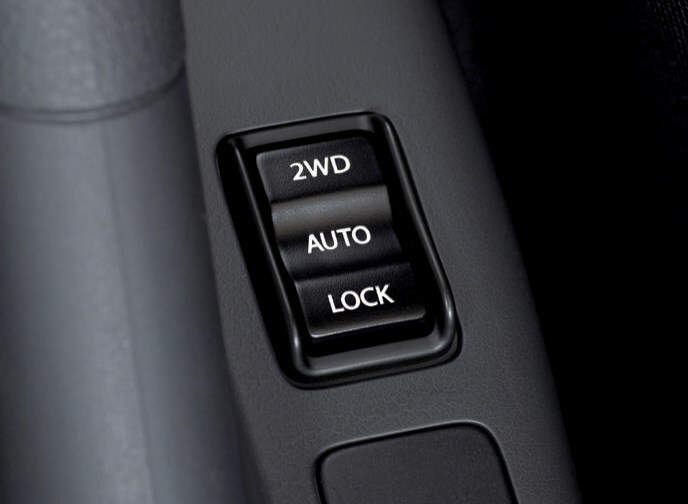 Go for all-wheel drive, and no extra thought is needed when driving it – it'll automatically engage the rear wheels when required, though you can override that for off-road excursions or economy. 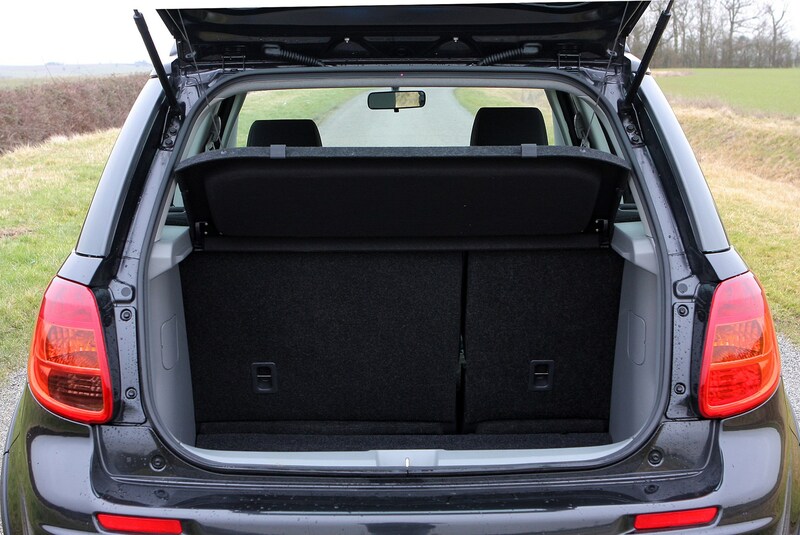 Unlike the Vitara and Jimny, it won't be shaming Land Rovers on green lanes, but it'll cope with a muddy field, rutted farm track or snow-covered hill remarkably well. 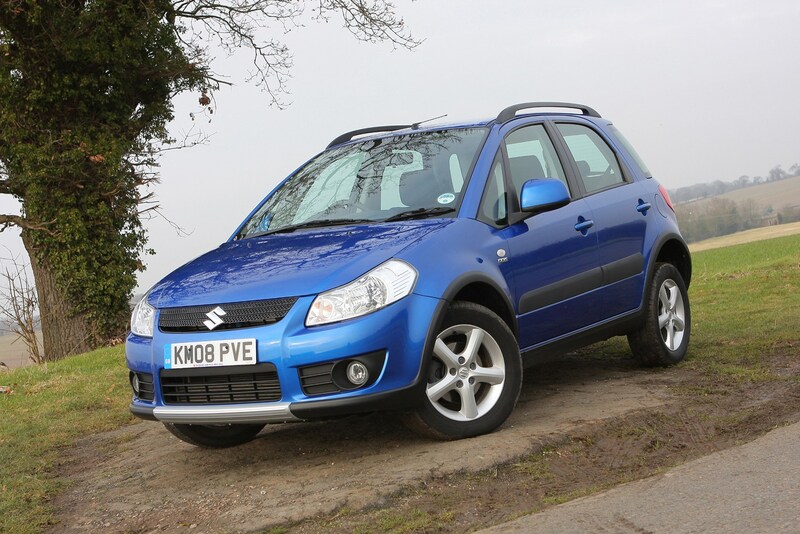 Where's the Suzuki SX4 now? 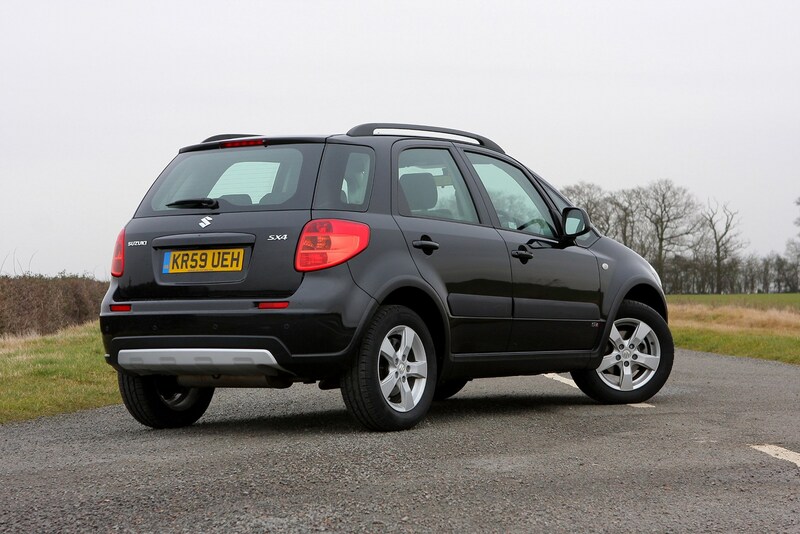 It's still around – a new model introduced in 2013 called the SX4 S-Cross updated the interior, engines and styling, and as before it falls between the smaller Swift and more SUV-esque Vitara. 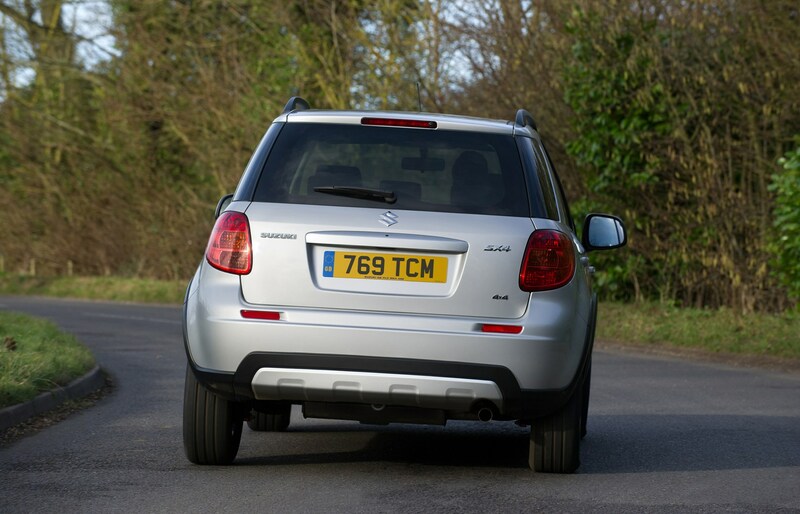 Fiat no longer market a version, though, and there's no saloon version. 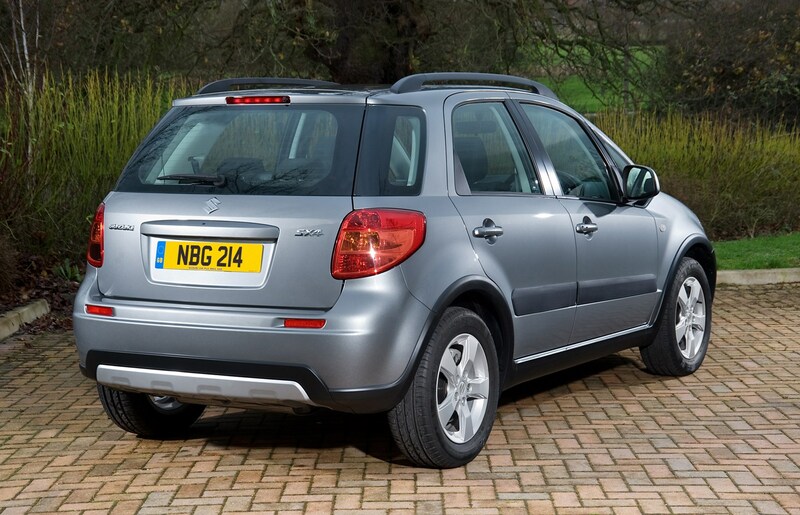 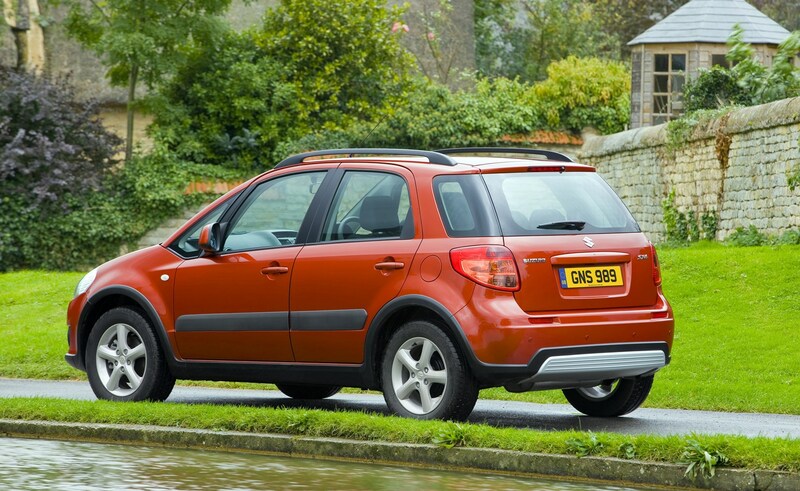 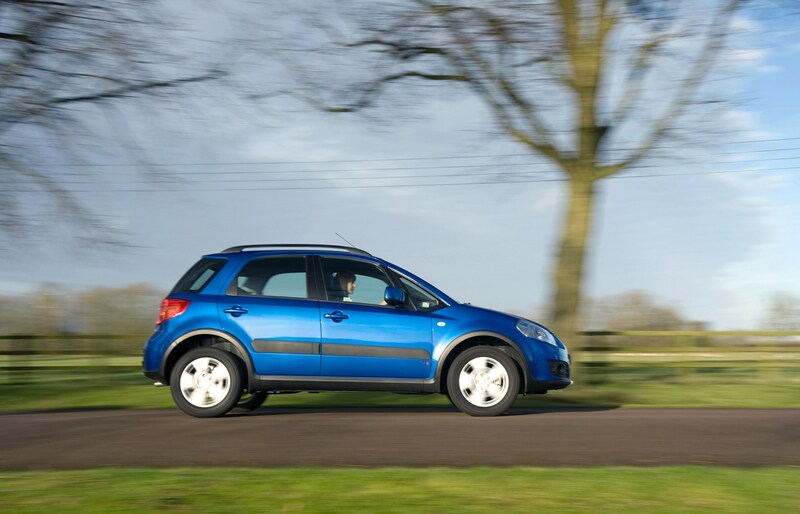 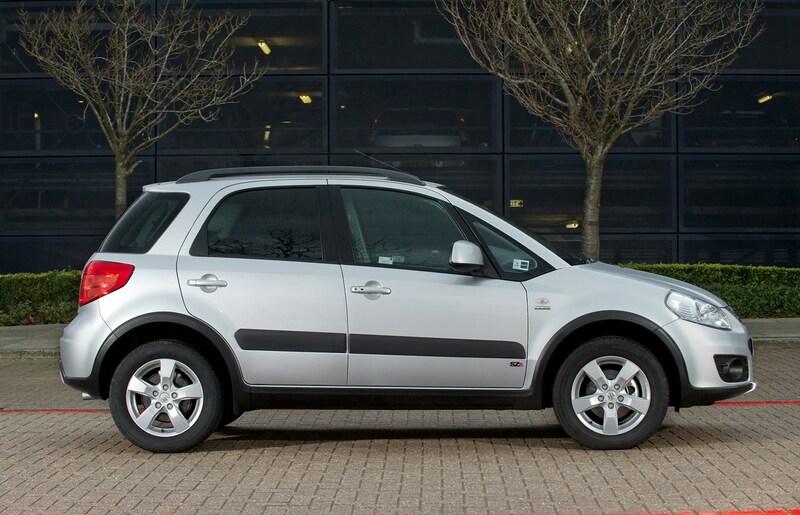 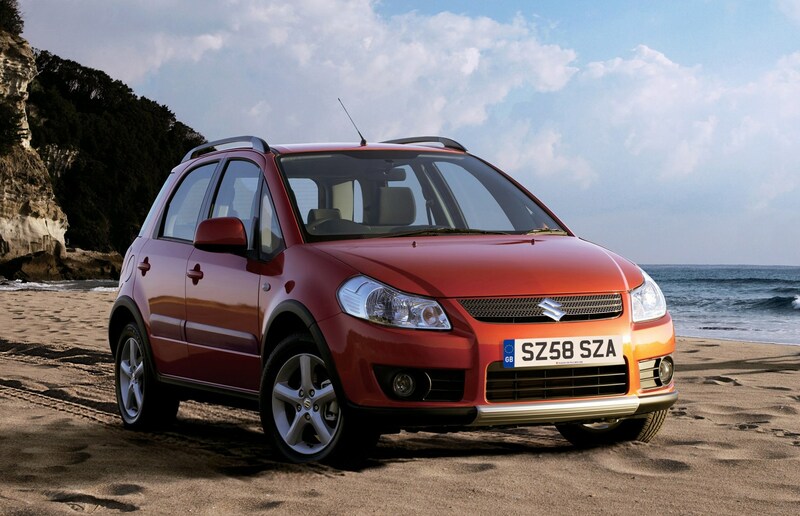 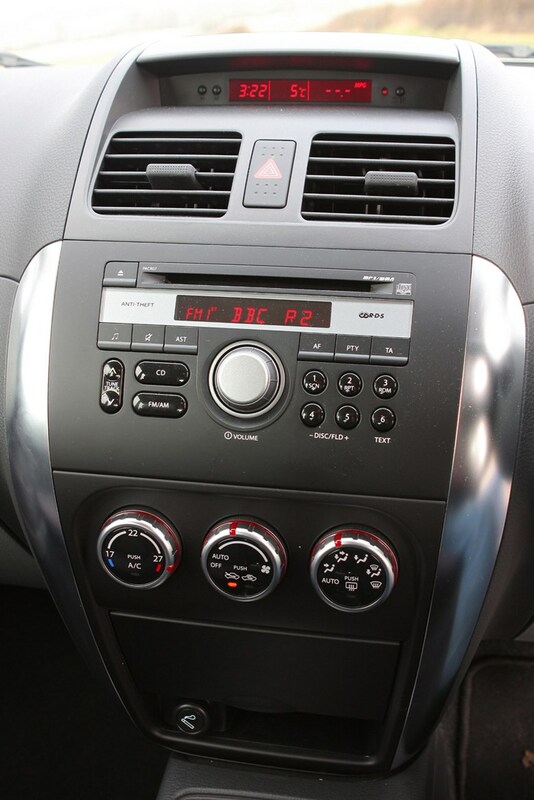 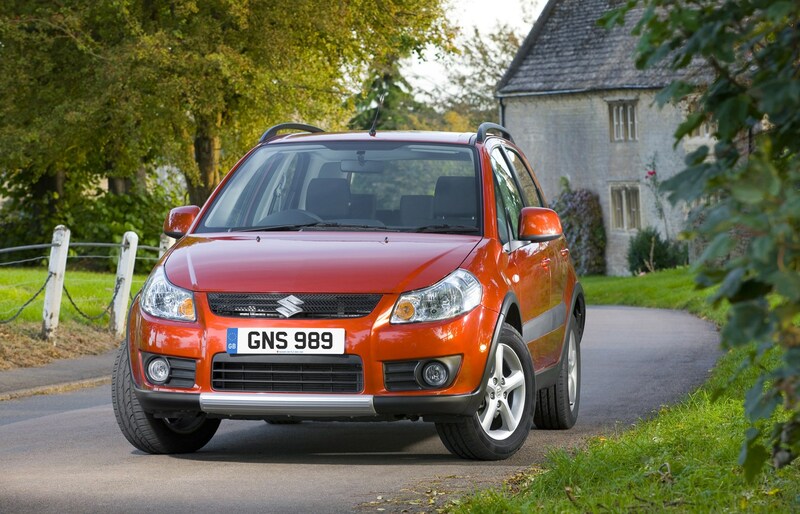 What should I consider when buying a used Suzuki SX4? 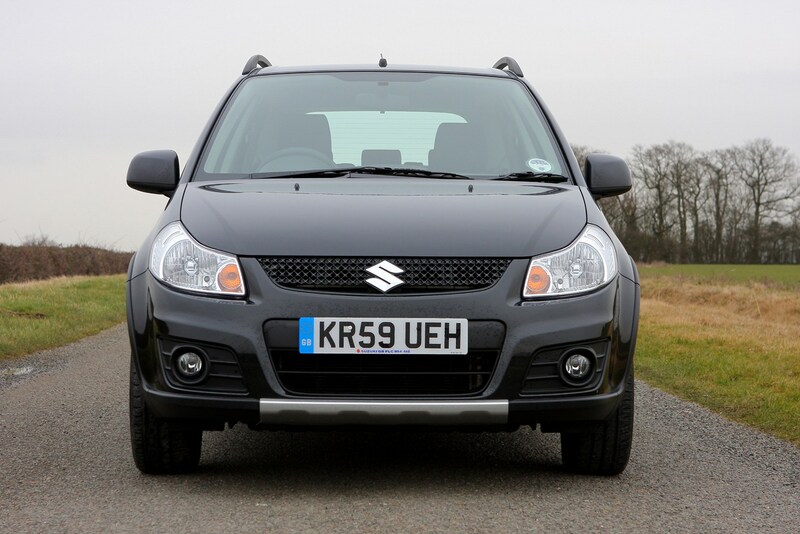 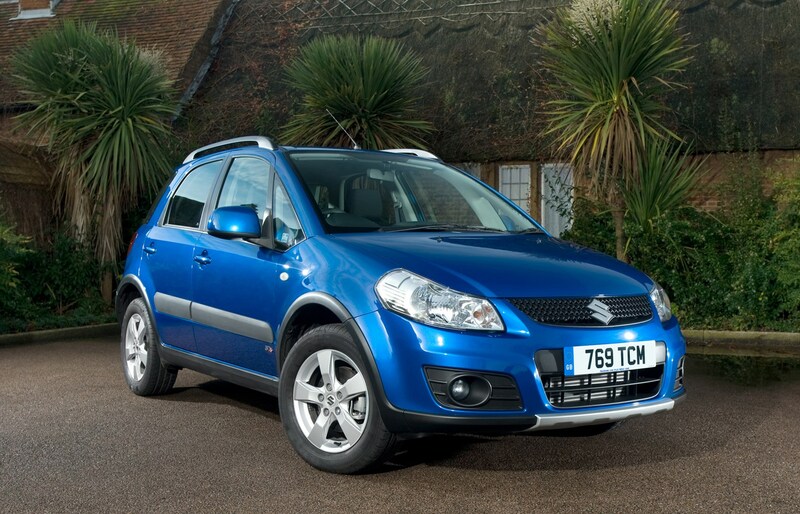 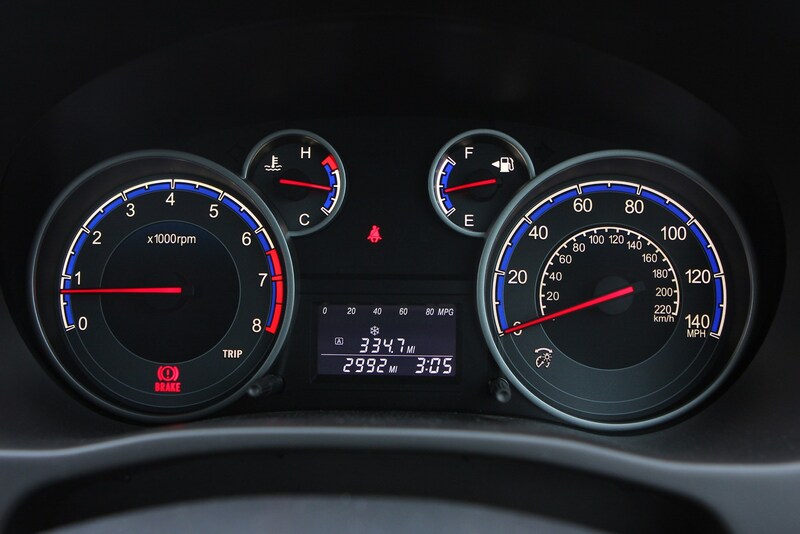 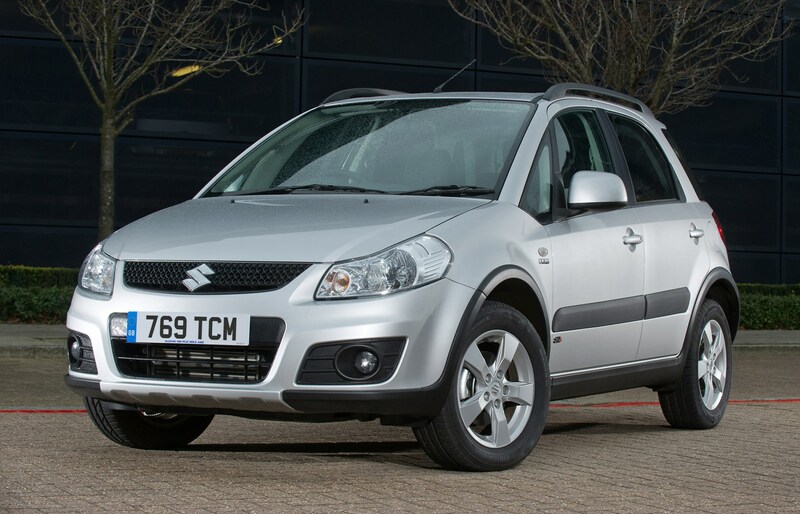 How much should I pay for a Suzuki SX4?